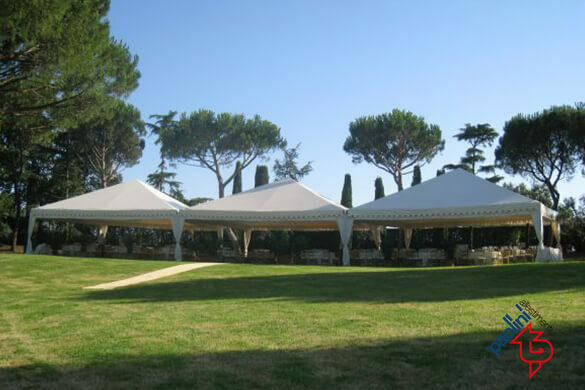 Classic event tents represent a versatile, sober and suitable cover for any type of outdoor event because they are functional and customisable. 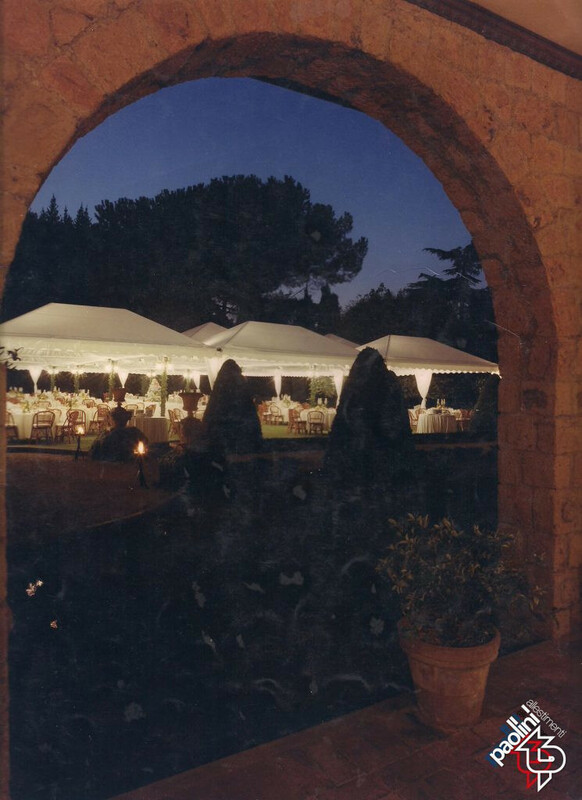 The supporting structures of the Classic tensile structures are made with aluminium profiles or galvanised steel profiles painted dark grey. 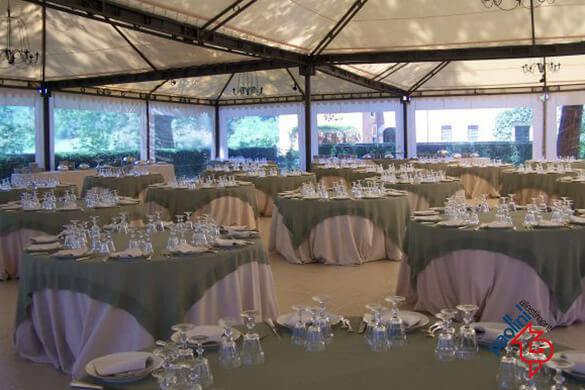 The cover sheet is made of white or ivory coloured PVC. 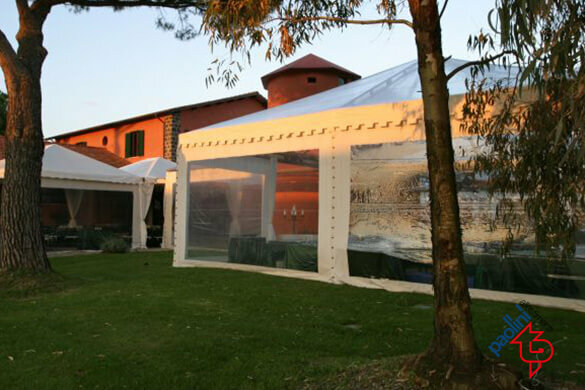 The sides of the Classic tent can be made with white, ivory coloured or clear sliding perimeter walls. 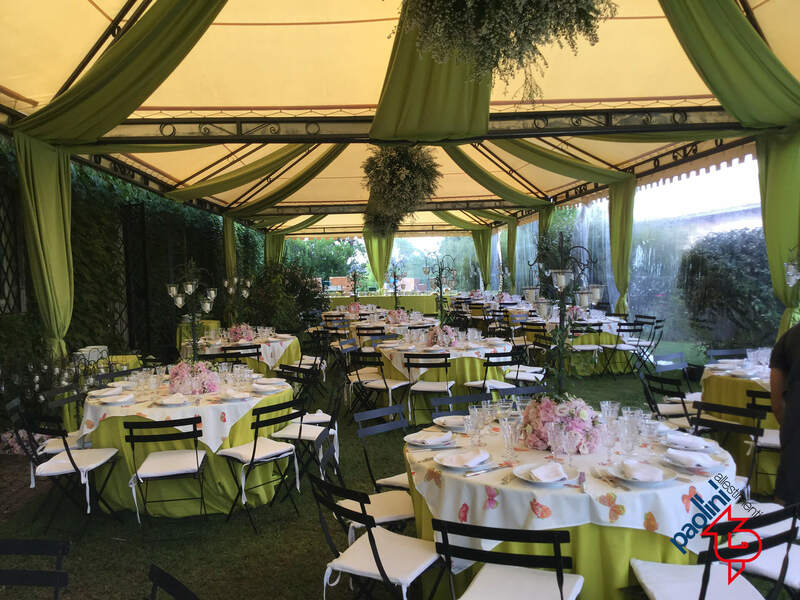 Depending on the customer’s needs and the location, Classic tents can be equipped with flooring made of bare wood panels or clad with felt or synthetic grass. 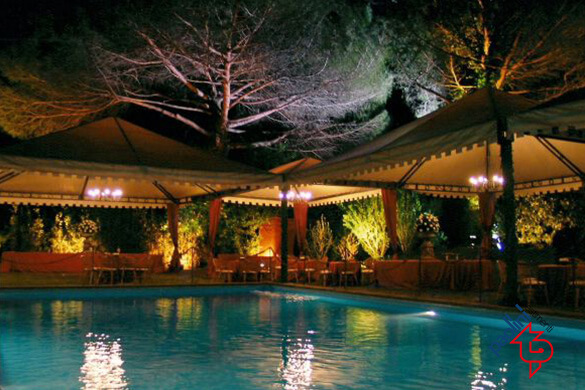 The installation’s lighting can also be customised with chandeliers of various types or spotlights to enhance the scenic effect. 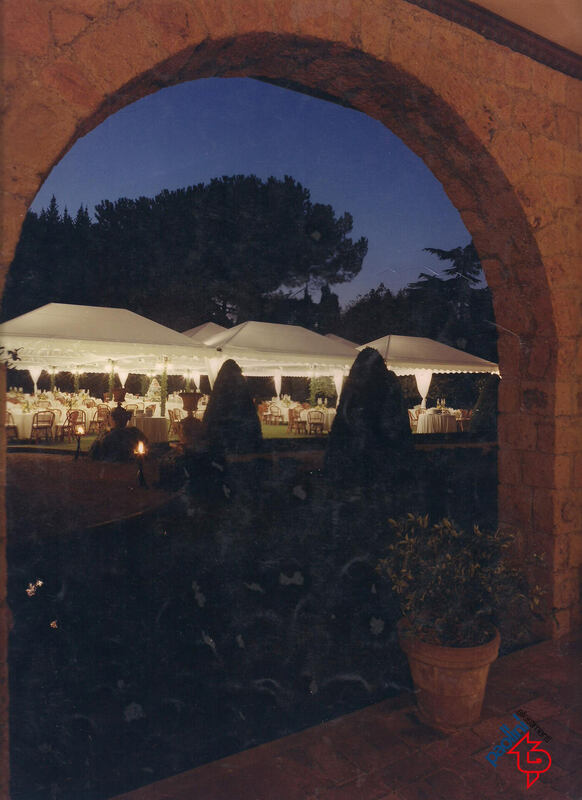 Finally, the heating and air conditioning systems supplied by Paolini Allestimenti ensure all the comfort necessary for the success of the event, guaranteeing the ideal temperature at any time of the year. 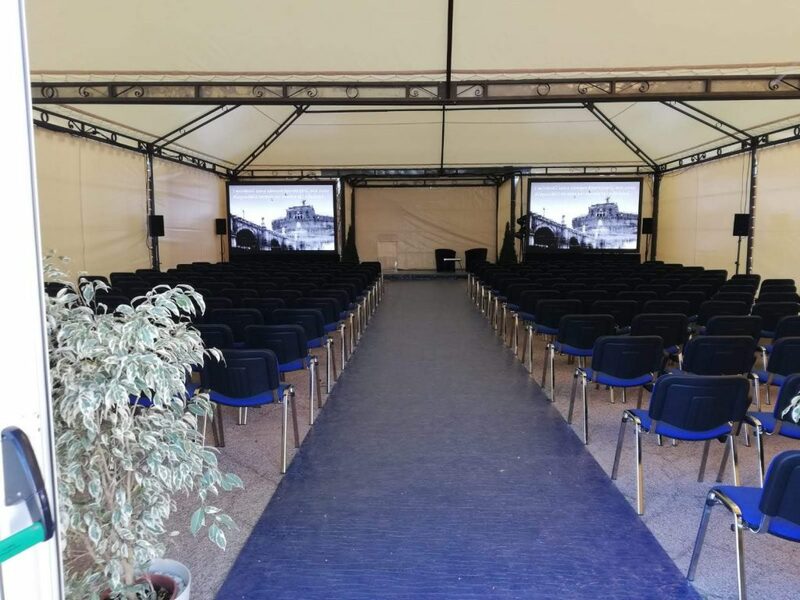 All the materials used for Classic event tents comply with the law and the assembly and disassembly procedures are carried out by professional technicians in accordance with the safety regulations. 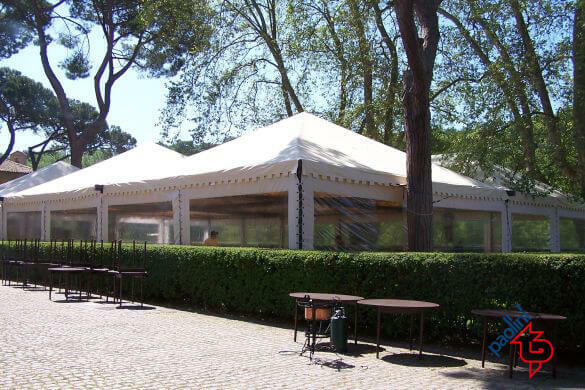 Classic event tents are suitable for any type of corporate or private event: versatile, customisable and available in different colours, they can be adapted to all types of locations and needs. They are suitable for evening, night and daytime events.